President Coolidge captured by photographer Addison Scurlock, early 1924. While certain candidates of all stripes are evading what they believe, hiding who they are from voters, concealing what principles they support and what their vision is for local neighborhoods, counties, states, and the country, Coolidge boldly outlined his policy principles in less than two minutes. 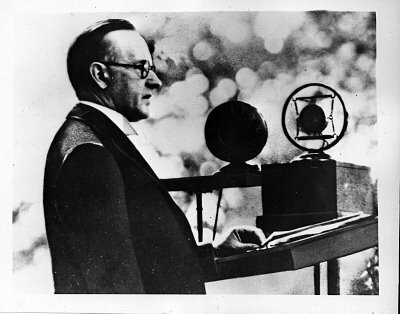 In this recording, Coolidge cements his ideals for all time in the crisp record of radio. Instead of hiding who he was and what he sought to accomplish, he freely volunteers it for voters to choose. 1924 shattered conventional wisdom with Coolidge and the Republican Party sweeping to victory in landslide proportions despite being a three-way race. The points he makes still resonate these ninety years later and serve a necessary reminder that the way to decisive victory is not through subterfuge, deception, obfuscation or timidity. 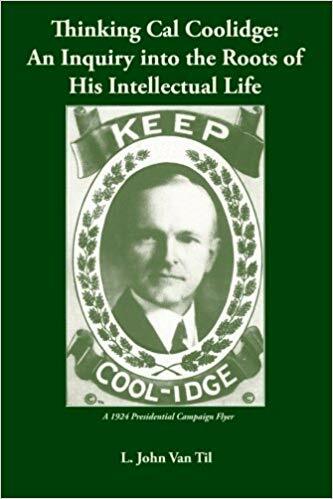 Coolidge believed the Republican Party stood for very specific principles and it had better keep its commitments to the electorate on that basis. Talking about what kind of government and set of principles we should have, giving Americans something to vote for as opposed to merely vote against, is vastly neglected these days. Not so with Coolidge. The GOP would do no favors and, in fact, fail good government to water down its differences to gain votes. Public service was too important to be so cheapened and, to Coolidge, being Republican preserved the best of America’s institutions, ideals, foundations for future progress, and her people’s renewing power for good.